Although moisturizer and toners are essential for good skin, don’t forget the basics such as removing your makeup before going to bed and drinking lots of water to keep your skin clear and supple. Most women compromise their sleep due to their busy schedules, but it’s important to get enough zzz’s to avoid looking tired in the morning. Every queen deserves her beauty rest. You’ve probably heard of candidates undergoing rigorous training for pageants, but you can also apply the same dedication in your life. Take every opportunity you can to hone your skills and the rewards will be worth it. Beauty queens spend a lot of time training for the competition. They hire coaches to improve their walk, their talk, and even the way they project themselves in front of the camera. If there’s something you wish to learn or if there’s an aspect of your job that you wish to be better at, take your pick out of the many short courses available online. There are many online courses now that you can enroll in, some of them even free of cost! As tempting as it seems, crash diets are never the way to go. They’re bound to backfire on you. Our tip: Control your portions. Proper diet partnered with the right amount of exercise is one of the toughest parts of being a beauty queen. However, it’s not always about fitting into a certain size bracket. We bet many of these ladies are stronger than they look! 7. Know what dress flatters your body type. All beauty queens (you included) are created differently, so instead of trying to meet the standards of what society thinks is “beautiful,” why not work with what you have? Learn to accentuate your assets instead of focusing on your perceived flaws. 8. Catch up on current events. Part of being a beauty queen is being able to answer even the toughest questions intelligently. If you have time to spare, read up on current events or hit the books. It won’t take long before the people around you start sitting up and taking notice. 9. Prepare for the best and the worst. Life isn’t perfect and when it throws you a curve ball, you have to deal with the situation with grace and class. A candidate once tripped during an evening gown competition but she handled it well. While beauty will get you noticed, being charming and witty will make people remember you. You don’t have to fake it though; just stay true to yourself and you’ll find that you have a lot more to offer the world. Beauty queen or not, you are royalty on your own. 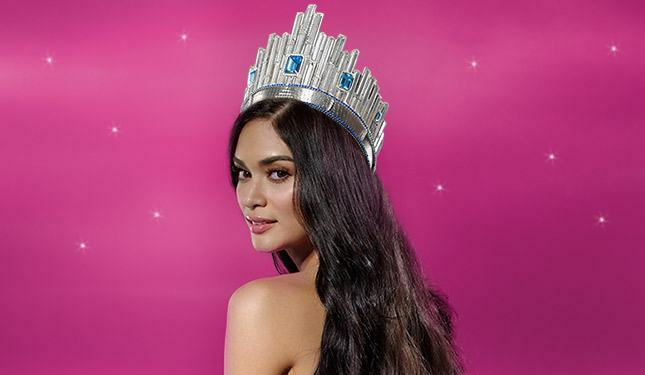 Excited about the biggest beauty pageant on January 30? Use the hashtag #WearTheCrown to show your support for all the beautiful and talented ladies taking the stage.